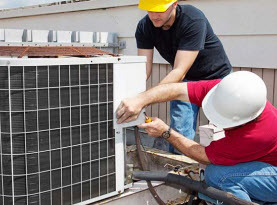 Ambient Heating & Air Conditioning is a full service HVAC system contractor that supplies the commercial businesses and residential homes of Hampshire and Hamden County, Massachusetts. Being completely insured, certified, and licensed since 2003, our experts deliver high quality workmanship while upholding high moral standards and friendly customer service. With the use of state of the art equipment, tools, and products available only for licensed professionals, Ambient Heating & Air Conditioning can ensure premium results to our valued customers. Ambient Heating & Air Conditioning heating services catering to commercial buildings and residential dwellings are important for the locals. When the bitter cold winter hits, you need to know there is a reliable resource available you assist you with all of your heating needs. With that in mind, be sure to store our contact information to reach us quickly and conveniently should the need arise. Ambient Heating & Air Conditioning heating services include; installation and replacement, repairs, maintenance, tune-ups, and inspections. Ambient Heating & Air Conditioning installation and replacement services come in handy for the commercial businesses and residential homes when you need a heater installation for a new building or a replacement appliance for your current building. Ambient Heating & Air Conditioning specialists can help you select the ideal heater that is the correct size and type as well as fit your budget. 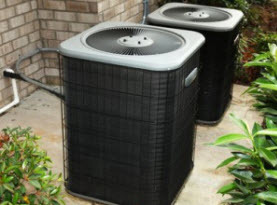 With our superior installation service, you can be at peace knowing that it was correctly installed to provide your home or business with the heat it needs to keep everyone comfortable. 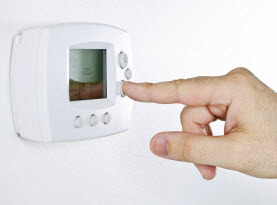 Ambient Heating & Air Conditioning commercial and residential heating repair service is essential to get your heater back up and running before the freezing nights make sleeping difficult. Our technicians arrive in fully equipped vehicles with a plethora of common parts in in case a part needs to be replaced. 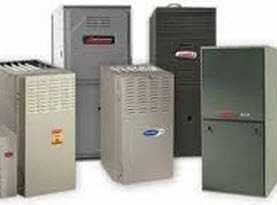 With our vast knowledge and abilities we can get your furnace or boiler operating at peak performance. Ambient Heating & Air Conditioning assisting business owners and homeowners with their heaters is important with our heating maintenance service. Most optimal performed annually; our comprehensive heating maintenance service can avert serious repairs, keep the heater fully functioning and contribute to the overall efficiency of your HVAC system, as well as sustain the utilities bills. Ambient Heating & Air Conditioning can detect any potential problems and intervene before they get out of hand, ensuring everything is tightened, cleaned, lubed, and the normal moving parts of wear and tear replaced, that keeps it functioning in optimal condition. Ambient Heating & Air Conditioning commercial buildings and residential homes should invest in an in depth heating inspection service as it is designed to ensure the entire heating aspect of your HVAC system is running at its full potential, energy efficiency and safety. If your Hampshire and Hamden County, Massachusetts home or business is in need of heating services, contact Ambient Heating & Air Conditioning today to get your affordable and efficient services completed by the best in business!